1.First login to your Technorati Account. 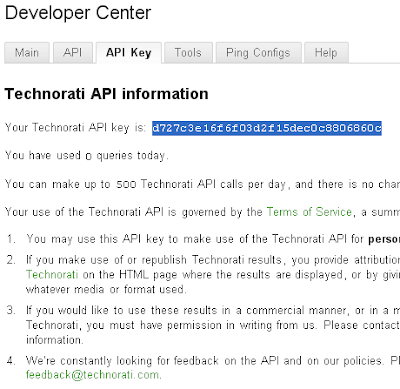 2.Now click here to get your Technorati API Key. 4.Click on 'Add a Gadget' . Note : Remember to replace YOURBLOG and YOUR-TECHNORATI-API-KEY with your real informations.Look at the example below.